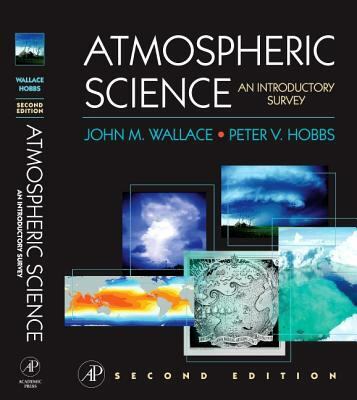 Wallace and Hobbs' original edition of "Atmospheric Science" helped define the field nearly 30 years ago, and has served as the cornerstone for most university curriculums. Now students and professionals alike can use this updated classic to understand atmospheric phenomena in the context of the latest discoveries and technologies, and prepare themselves for more advanced study and real-life problem solving. Atmospheric Science, Second Edition, has been completely revamped in terms of content and appearance. It contains new chapters on atmospheric chemistry, the Earth system, climate, and the atmospheric boundary layer, as well as enhanced treatment of atmospheric dynamics, weather forecasting, radiative transfer, severe storms, and human impacts, such as global warming. The authors illustrate concepts with colorful state-of-the-art imagery and cover a vast amount of new information in the field. They have also developed several online materials for instructors who adopt the text. Used Good (1 available) 012732951X Unused/new book w/ minor cosmetic damage. Click on read more. >>> This is a bookstore return that has never been read or used, but has small cosmetic damage, like a cover crease or ding, damaged dust jacket or bent pages. It does NOT have writing in pages, and we guarantee access codes and supplements with our used items where applicable.100% Satisfaction Guaranteed. FAST Processing; friendly, tip-top service. : -) Please compare our seller rating to others; we are the fast, smart, hassle-free choice. Customer service is not a dept; it's our attitude. FYI: Standard shipping is 2-8 business days. YOUR SATISFACTION GUARANTEED! Used Very Good (1 available) 012732951X 100% Guarantee! Fast Ship! Our VG=other's LIKE NEW. Here's why. >>This book is often new and unread, but it has a minor cosmetic flaw-like a scratched or creased cover. Access codes and supplements are guaranteed with our used items where applicable. We could probably sell it as Like New,  but we'd rather over deliver and have you be delighted with the condition and speed of delivery. If you check our customer feedback, you will see tens of thousands of happy customers. Let us delight you too. We work every day but Sunday and ship with UPS and FedEx for faster deliveries and flawless tracking (most booksellers use US Postal media mail). YOUR SATISFACTION GUARANTEED!